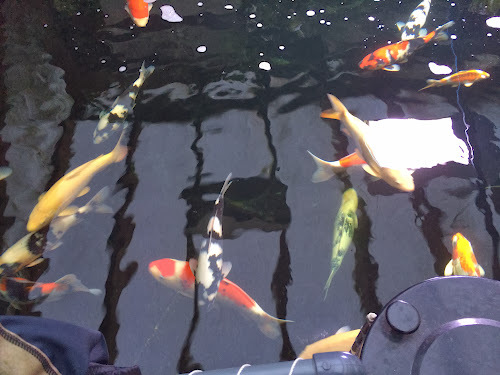 On Saturday 14 December Adam Byer, Bob Grinyer, Gary Pritchard and I (Mark Hobden) went on a road trip to see Mike Snaden at Yume Koi (http://www.yumekoi.com) in Bristol. 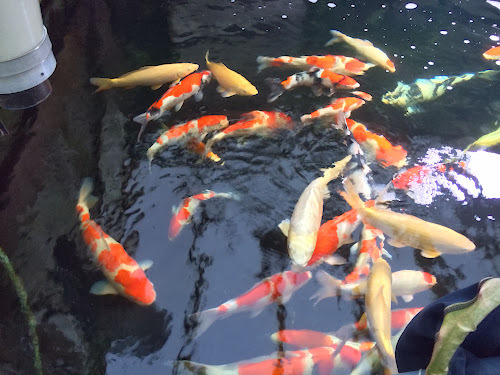 For three of us it was first time we had been to Yume so given Mike's reputation the expectations and moods on the journey were extremely high. 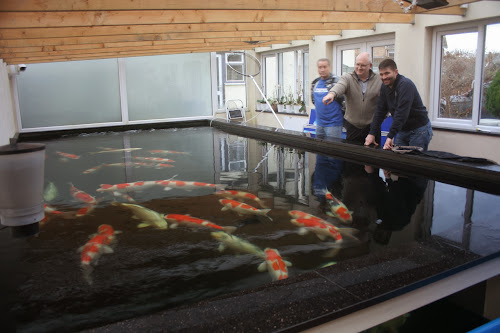 When we arrived we went straight in to see the main indoor pond. This pond was huge (roughly 6m x 12m) and featured a fully stocked bar with seating area at one end. 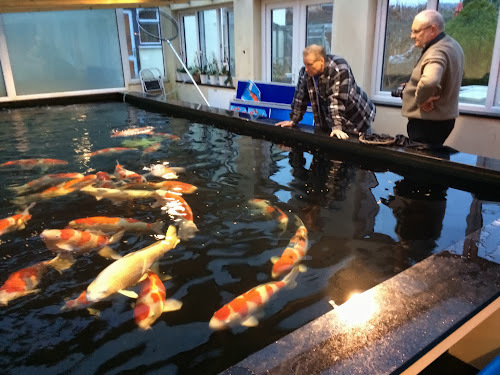 The quality, size and condition of the koi in the main indoor pond was superb and a real eye opener (as you will see in the pictures below). 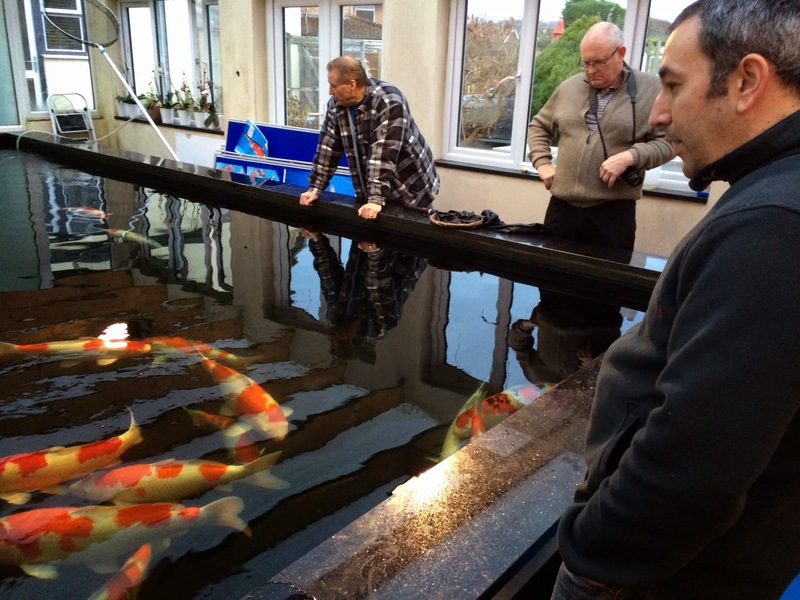 Mike showed us his two tanks of new arrivals from Japan (including Adam's new Kohaku for his breeding project). Having only been in the country for a couple of days they looked remarkably good and lively. 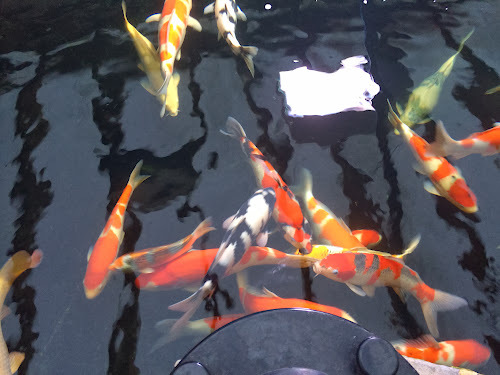 We then went to an outdoor heated pond which contained a mix of larger and smaller (18") koi that again would be pride of place in any of our ponds. It was blowing a gale outside so the warm cups of coffee were greatly appreciated. 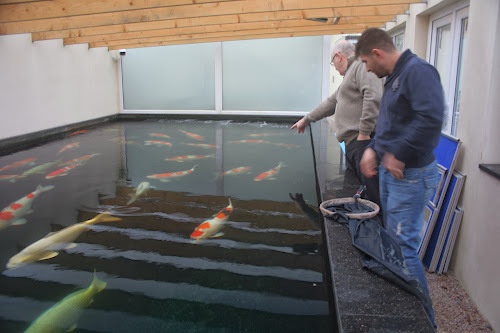 On the way back to the main pond we realised we had actually missed a smaller indoor tank. 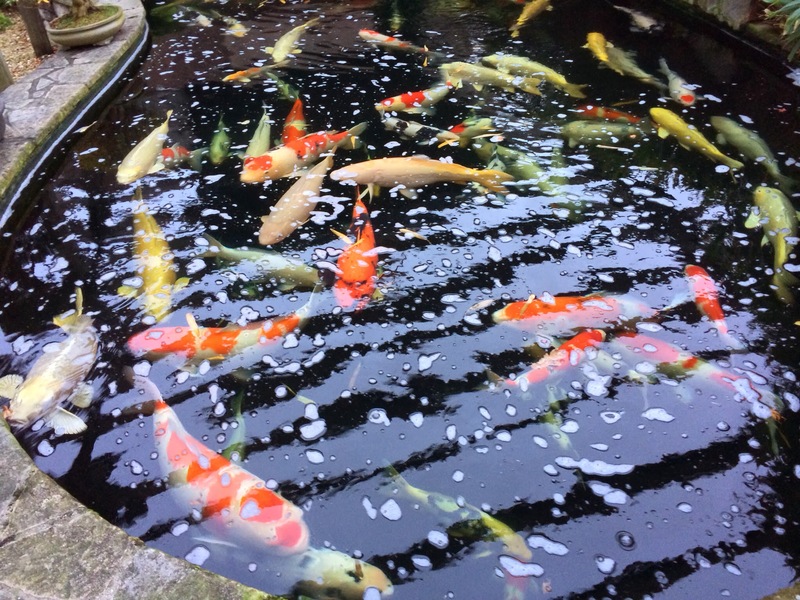 This again contained some superb medium sized koi (in comparison to the large pond). Some the the shiro and Kohaku were excellent. 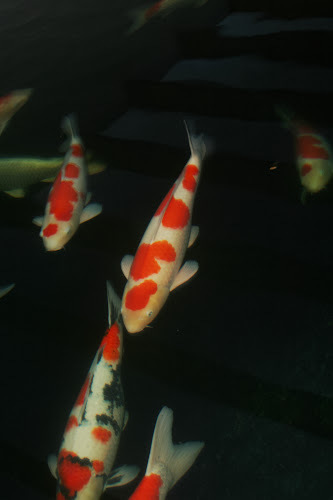 Unfortunately for me but fortunately for my finances the shiro I fell in love with had just been sold to the party before us. Put very simply, Mike's koi in terms of quality, size and condition are the best I have seen at any dealer in the UK but as with all top-end things in life they do come at a cost. 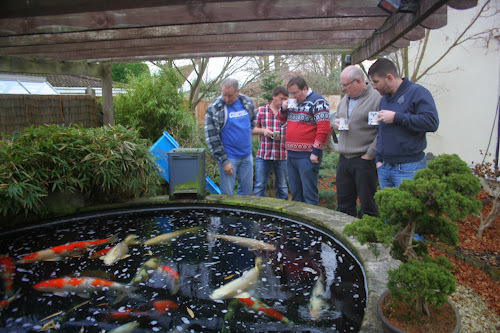 Many thanks to Mike for his hospitality and for spending his time showing us around his koi ponds. We will all be back... and in my opinion is a must for every koi keeper.